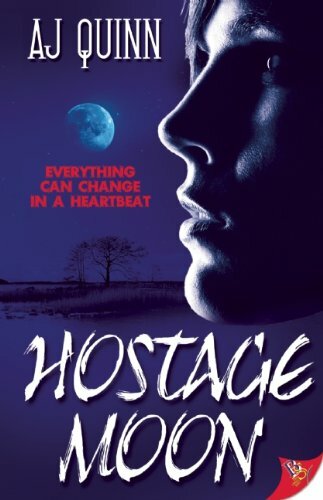 Hostage Moon may be marketed as a debut mystery, but it should be shelved in the fantasy section. It doesn’t have aliens, but it is just as imaginary. These characters are rich, stunningly beautiful, and just aching for the right lover to whisk them off into a flawless future. Sara Wilder is a former FBI profiler and psychologist. Her ex-FBI partner calls her in to assist in a case where the sentence: “Hunter, You are mine. It’s time for daddy’s girl to come home.” is scrawled at a murder scene of a fifth victim of a serial killer. The killer follows a lunar cycle and is set to strike next on—wait for it—the Hunter’s moon. We know it’s about her because Roswell has an ugly incident in her past; at age 17, she was a hostage of (what else?) a crazed madman. Her father was shot trying to rescue her. That madman is in jail, but someone has learned that the “you are mine” phrase was one he repeated throughout her weeks as a captive. Who knows that? Wilder is supposed to provide her subject with support as the killer stalks her. But she falls in lust with Roswell. This is totally unprofessional and takes the reader out of the story. Even if the reader is a romantic and believes the heart wants what the heart wants—Wilder’s training—to focus on the task at hand, seems to take a back seat to her hormones. How does that help the victim? Of course Roswell agrees to act as bait so the killer will come after her, and holes up at her beautiful beach house. Driving her Lamborghini may taunt the killer, but hey, she looks fab doing it. When the tension becomes too much she is able to sneak out and run on the beach—alone. Huh? Between the FBI and her own security detail one would hope the severity of the situation has been impressed upon her, but Roswell can’t settle. I lost track of the number of times she ended up in a hospital. The minor characters in the book also have glorious lives. Wilder’s best friend is an ER doc, who happens to be dating Roswell’s old roommate at Oxford. Where do you sign up for this life? Does anybody struggle with food shopping and laundry? The action, indeed the story, seems like it takes place another world, distancing the reader from the reading experience—the opposite of what you want in a thriller. Perhaps in her sophomore effort A. J. Quinn will set her book in a world where a character’s sexuality is an interesting part of her life—not the definition of it.